QT-ETM is a simple to use stand-alone and/or computer operated thickness tester, with optional Quality Control software for automatic calculation and graphical display of thickness profiles, statistics, and other information. QT-ETM is best suitable instrument to perform thickness measurement or comparative measurement analysis of thin films of thickness 0 to 1.5mm with high accuracy of ±0.1µm. It is widely used to measure or compare thickness of plastic films, foils and paper. QT-ETM is equipped with mechanical scanning technology and high precision thickness gauge configured to measurement of very fine thickness with high resolution. It uses a measuring head to determine the thickness of the sample. 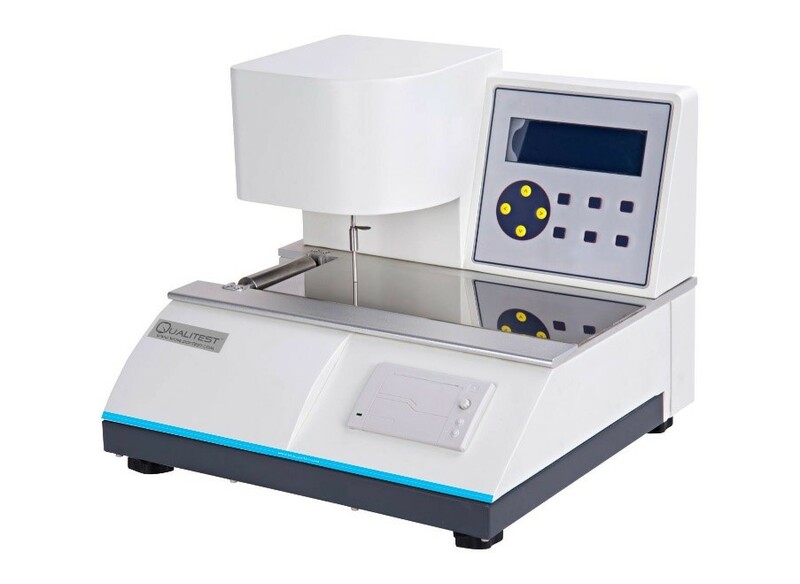 A small amount of pressure (0.5N) is applied by the measuring head while determining the thickness, so that the thickness of the sample material doesn’t vary during measurement. that the thickness of the sample material doesn’t vary during measurement.